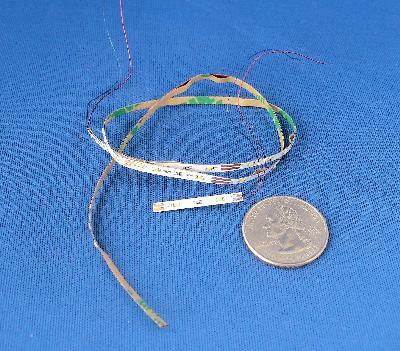 This ribbon is literally THE WORLDs SMALLEST LED strip. 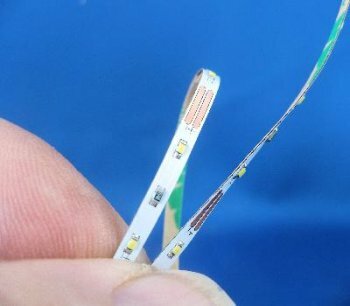 It is so small that I refer to it as a RIBBON of LEDs. 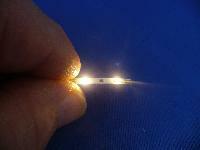 The strip is 15 inches long and only 1/8 th inch wide with 30 LEDs. 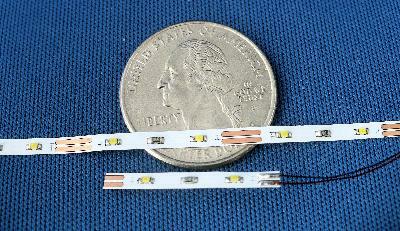 The strip can be cut at every two LEDs. The strip has double stick tape on the back to make for easy installation. 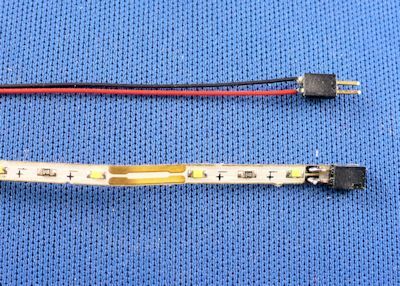 The strip works on 12 volts DC only and uses extremely small Nano chip LEDs as does the Christmas light strings shown above. The package comes with one 15” ribbon. 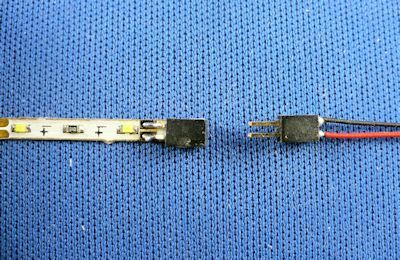 It also is available in both Warm White and Pure White LEDs. Not being happy with the new plug connectors; I am packaging these ribbons with wire leads soldered to one end and the connector on the second end. Connection plugs are available seperately. It also is available in both Warm White and Pure White LEDs.